← February Craft Challenge using Puzzle Pieces – the results…. 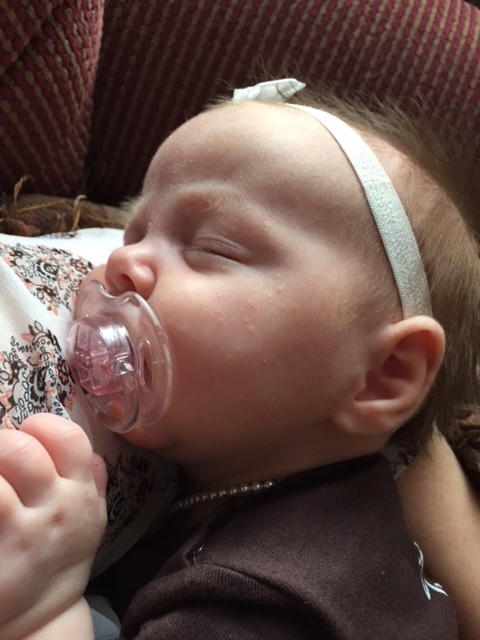 A close family friend recently gave birth to a baby girl. 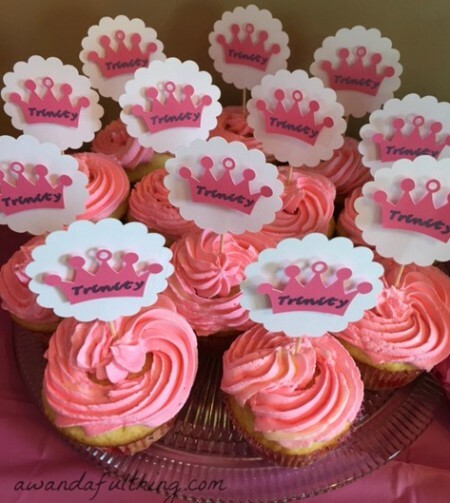 Instead of having a baby shower before the baby arrived, it was decided to have a “meet Trinity” party after the birth. 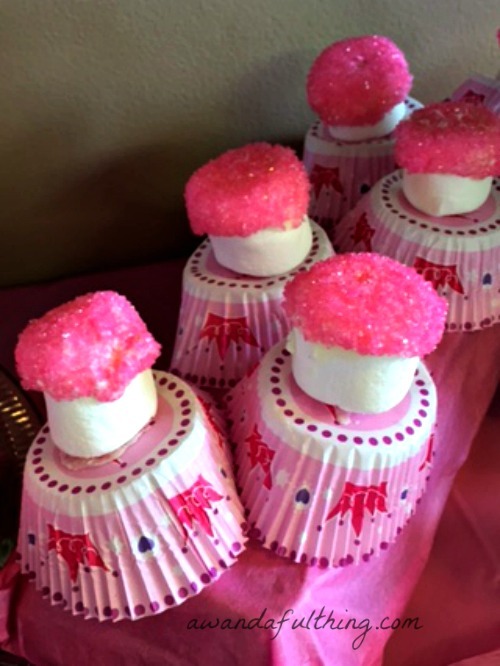 I was honored when I was asked to contribute some of my creativity to the party and even more excited when I was told the colors were pink and white. I decided to incorporate some food into the decorations. The crepe paper sucker flowers made a lovely contribution to the tabletop and were easily made using crepe paper, scissors and tape (suckers too of course). I made a baker’s dozen over the course of a few evenings . I made two different types, one I refer to as the carnation(pink) and the other a daisy (white). If anyone is interested in how any of my creations were made, I will post tutorials for you. 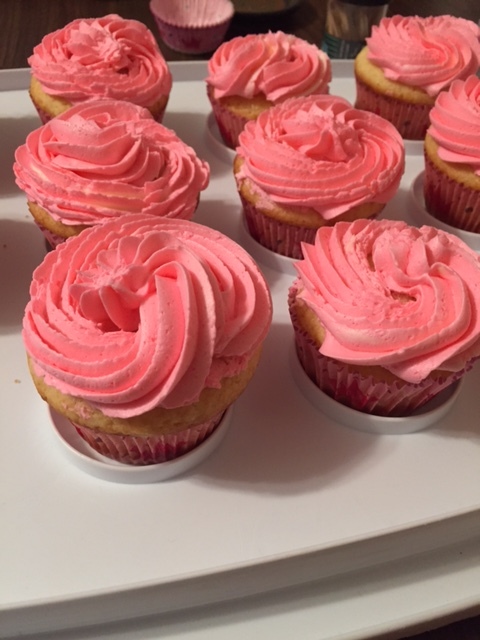 This baby girl is definitely a little princess, I made (from scratch) vanilla cupcakes but they needed toppers. 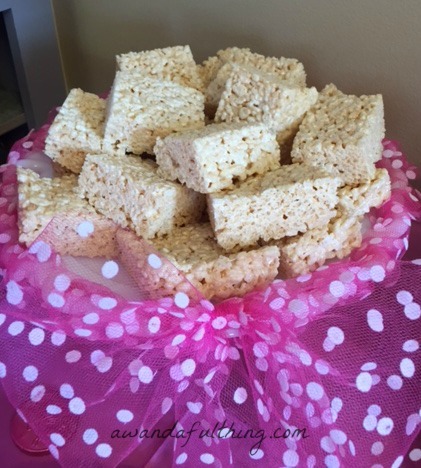 Who doesn’t love shortbread cookies or Rice Krispie squares? 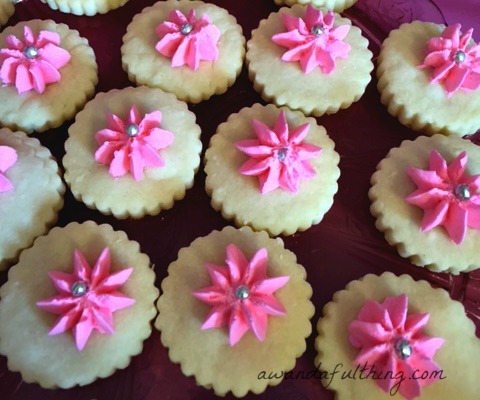 The shortbread cookies were decorated with the same icing as the cupcakes and the Rice Krispie squares were displayed on a vintage milk glass cake stand decorated with polka dot tulle. 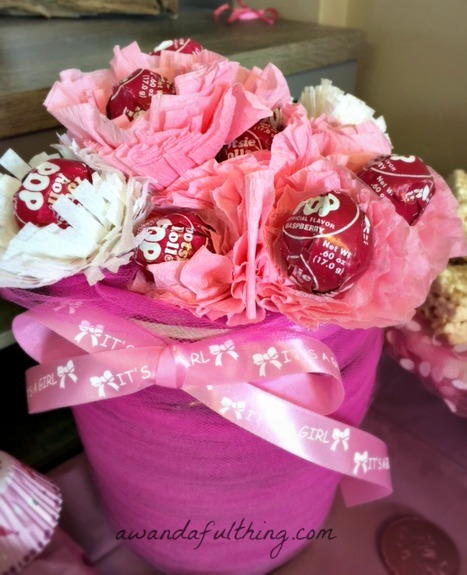 This entry was posted in Bake, Decorate, DIY, Food, Make and tagged baby, cake, cookies, crepe paper, cupcake toppers, cupcakes, Decorate, DIY, easy, flowers, friend, pink, shortbread, shower, simple, sucker flowers, suckers, toppers, tutorial, vintage. Bookmark the permalink. This is so cute! Love all the things you made! the marshmallow ballerinas are my favorite! WOW. Great job with the sweets – everything looks fabulous. Beautiful girl at the end. 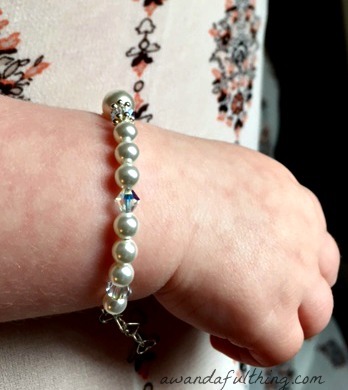 Good job on the blog Girlie! Well done!! !